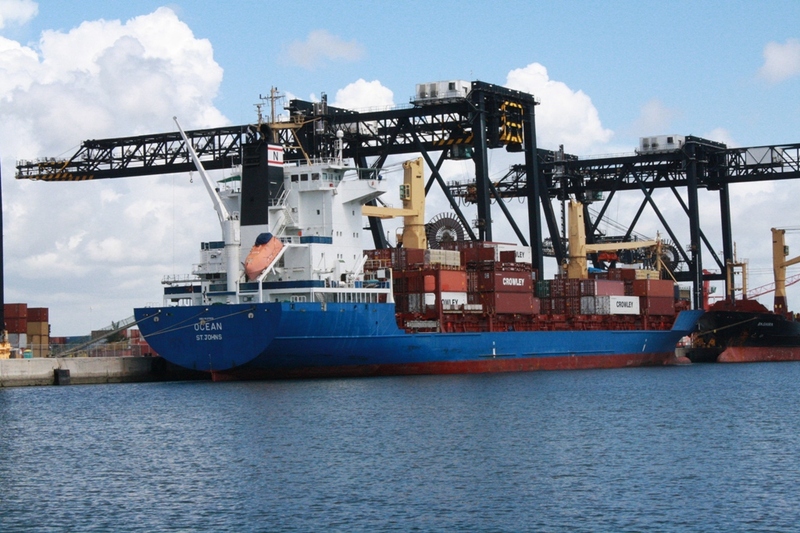 (Jacksonville, Fla., Dec. 15, 2010) ­– Crowley Maritime is expanding at Port Everglades with a new 10-year terminal lease that calls for additional acreage and increased container guarantees. The Broward County Commission, the governing board for Port Everglades, approved the new lease today. The terms of the new lease call for increasing Crowley’s terminal from 68.2 to 80 acres. Guaranteed container moves will begin at 110,000 in 2011, increase to 112,000 in 2012, and increase by 1,000 annually thereafter on each January 1 through 2020. Under the new agreement Crowley’s first-year guarantee represents nearly 96 percent of their FY10 container volumes. “Crowley is extremely pleased with the unanimous approval of the Broward County Commission on the new ten-year agreement with two five-year options for their Port Everglades Terminal operation. It is the favorable business climate in Broward and Port Everglades which has allowed Crowley to triple their business volume through this port over the last 20 years. The new agreement provides fertile ground for more expansion and new business development,” said Crowley’s Michael Hopkins, vice president of operations, Latin America services. Crowley operates the largest container terminal in Port Everglades and the company’s economic impact through the Port could increase by 9 percent over the remaining term of this agreement, based on the increase in guaranteed volumes alone. The economic impact resulting from Crowley’s activity at Port Everglades is estimated to support 31,983 jobs and generate personal income of $1.1 billion, plus state and local taxes of approximately $80.1 million. These impact estimates are based on the Port Everglades Economic Impacts Model developed by Martin Associates as part of the 2006 Port Everglades Master/Vision Plan. Port Everglades is one of the nation’s leading container ports and a trade gateway to Latin America and Caribbean. Port Everglades has direct access to the interstate highway system, is within two miles of the FEC rail hub and is just one mile from the Atlantic Shipping Lanes. Ongoing capital improvements and expansion ensure that Port Everglades will have the ability to handle future growth in container traffic. A world-class cargo handling facility, Port Everglades serves as an ideal point of entry for products shipped around the world.